First of all, if you haven’t been to Grapevine, you need to get out there PRONTO! It’s the cutest little main street with boutiques, restaurants, wineries, and a whole lot of fun! 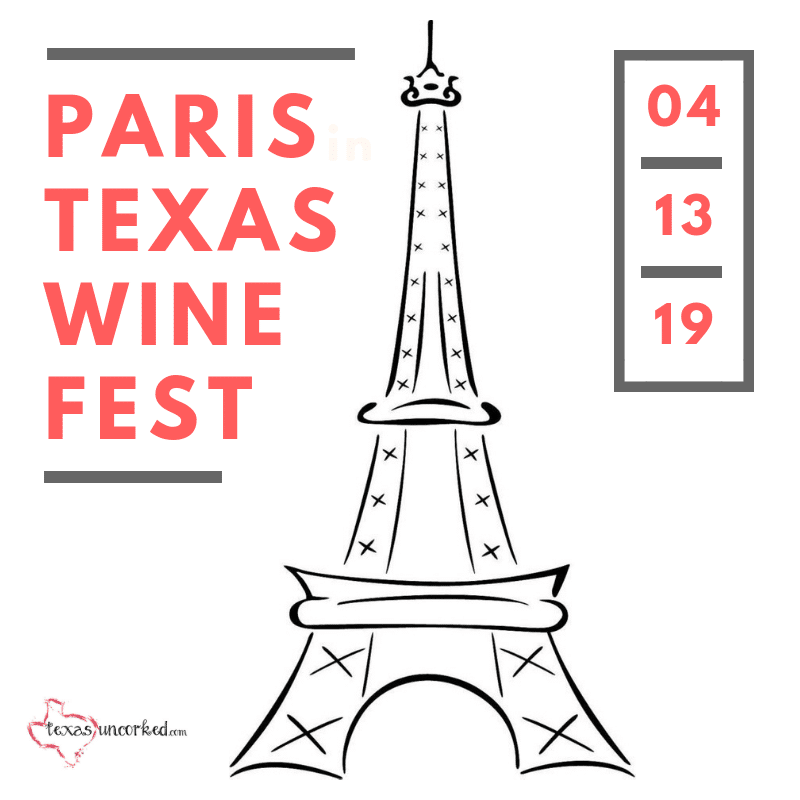 They do festivals of all kinds in Grapevine, but our favorites, of course, are the wine-related ones! 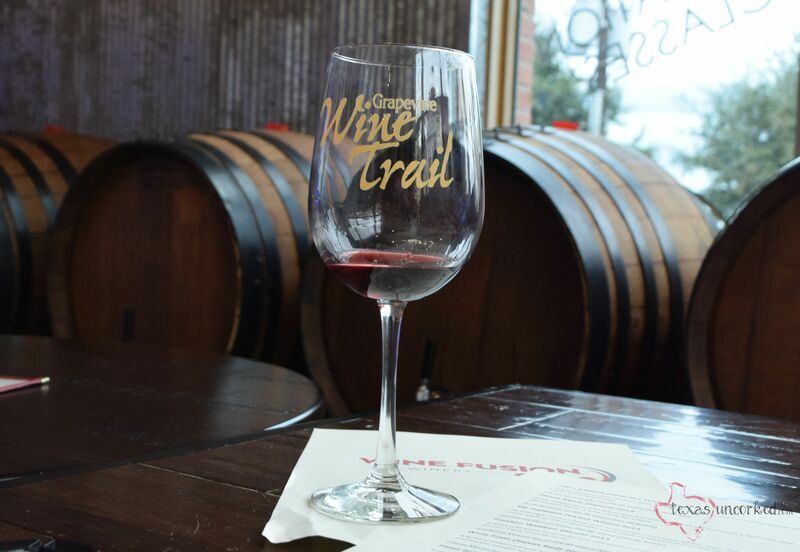 If you’ve never been on a Wine Trail before, you’re in for a real treat. 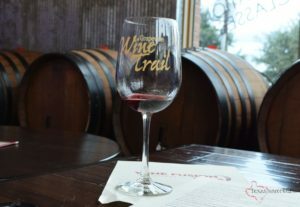 Each trail can be drastically different, based on the wineries involved. You start with a few tastings of pre-selected wines in your fancy new logo’d wine glass… grab a snack… and mingle with friends while you chat about tasting notes. Lather, rinse, repeat. 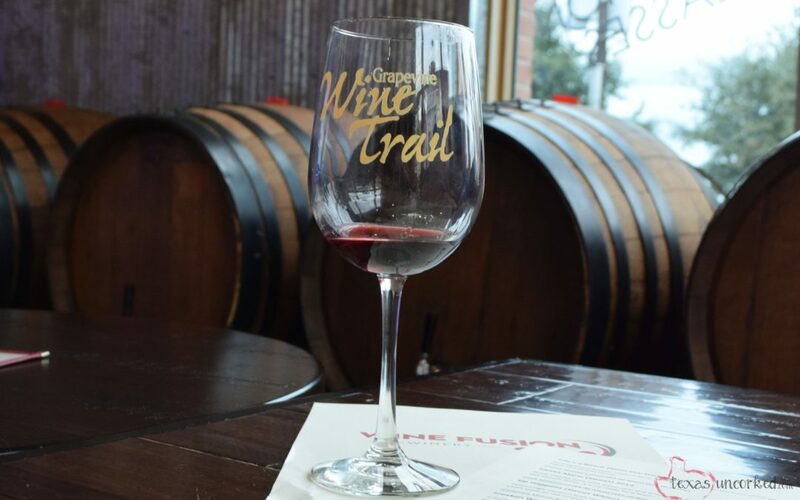 The Grapevine Valentine’s Day Wine Trail featured 8 wineries down Main Street. 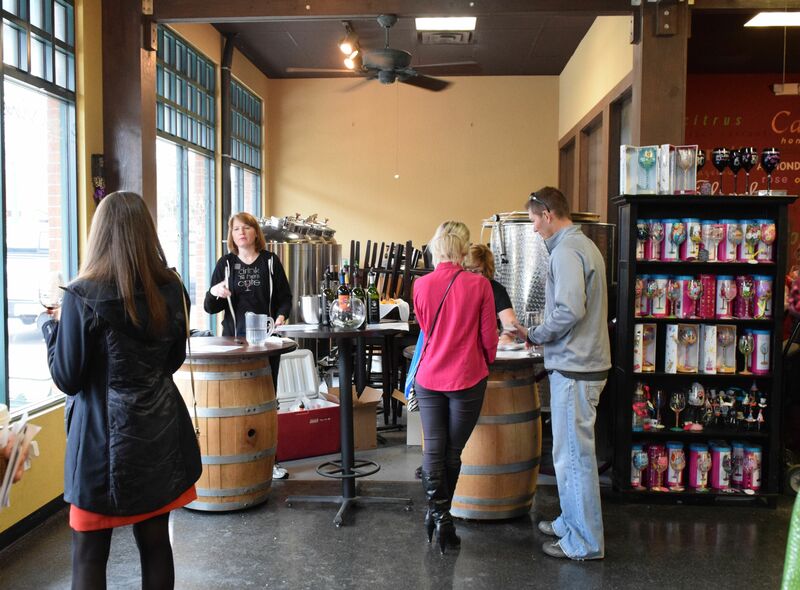 The jist is simple… grab a wine glass and tasting card, visit each winery for 3 tastings and 1 snack at each. 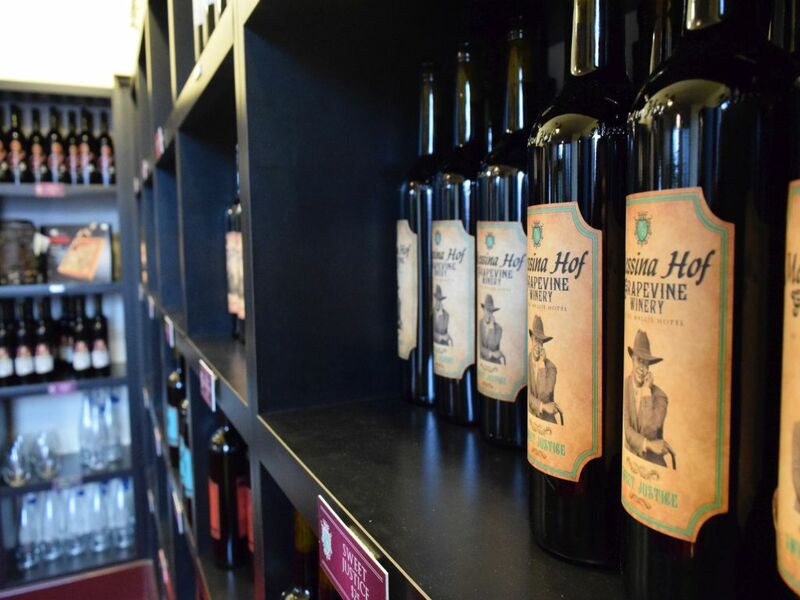 Bottles are discounted, varying by winery. Next, we went across the street to Messina Hof. The building is so unique. Sort of like capturing a moment in time. A LONG time ago. They had the balcony open because the weather was so nice. 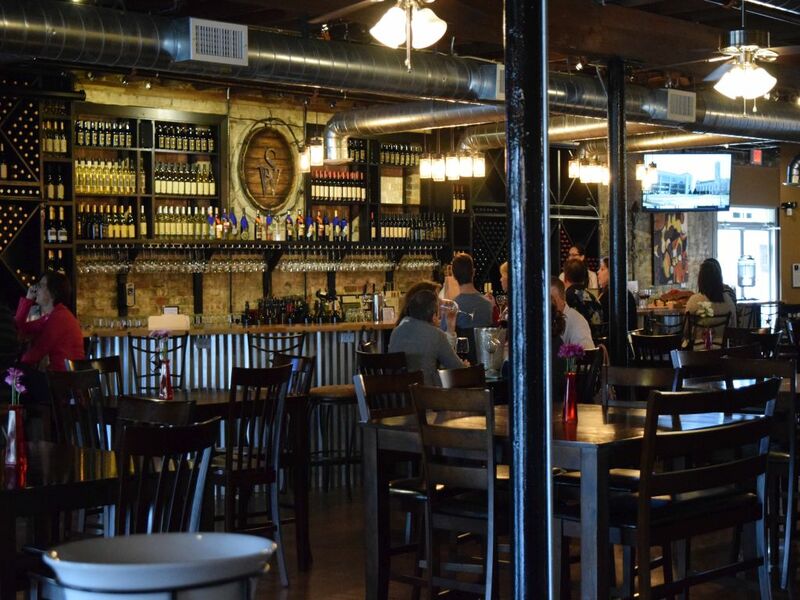 Fun fact: Messina Hof started in South Texas and just opened this slice of heaven in Grapevine a year ago. Welcome to the neighborhood, guys! We dropped in to Sloan and W next. 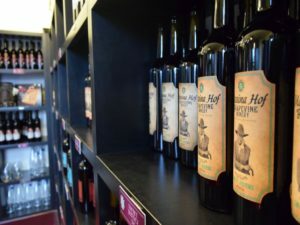 They’ve just opened a brand new tasting room on Main Street and, guess what? We snapped a shot just for you! We’re lovin’ the new atmosphere! Last up… the latest winery to Main. 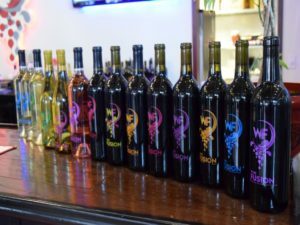 St. Grapevine… Wine Fusion Winery! The decor is based on steel, wood, and floor to ceiling windows melding together for a great modern look. This winery is super cool, with wine blending classes available along with their typical winery tastings and such. Most of their grapes come from the west coast (think Washington) so you’ve got that familiar taste profile going on. We just love the colors of their wine labels. Don’t you? So many fun people out on the trail today. That’s the cool thing about these wine trails. It brings together wine lovers from all over the place – some old, young, seasoned vets or new beginners. There’s something for everyone. Til next time!